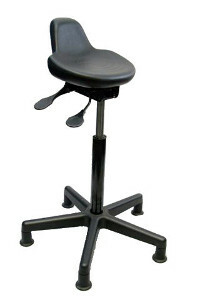 Sit stand stools dramatically reduce fatigue for workers unable to sit down on the job. 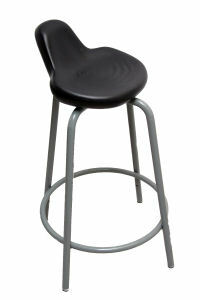 Provided on a standard 500 Series base or a 5 leg glass reinforced nylon base with pneumatic height control. Seat is moulded polyurethane foam unit designed for efficient up down movement.